I'm a big fan of foraging and using the things that grow wild around my neighborhood, so this is a book that I was very interested in reading. Healing Herb's- A Beginner's Guide to Identifying, Foraging and Using Medicinal Plants is a lovely collection that's great for beginners because it covers easily identifiable plants and has recipes and tips for using them. 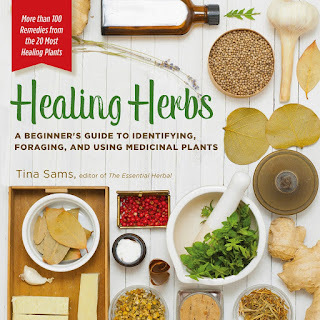 Tina Sams has a blog and a magazine called The Essential Herbal and is very knowledgeable in her field. The photographs in this book are clear and gorgeous. Starting with my favorite- dandelions, which are close to the end of the book. 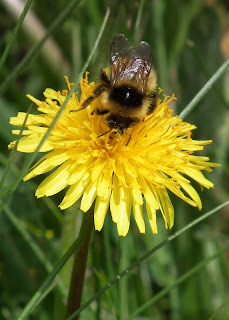 The dandelion chapter is being used as my example of why this is a great book because I really love dandelions. Each chapter starts with some history and scientific information about the plant, along with the medicinal uses. Then it gets into recipes! 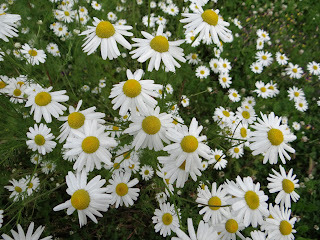 The recipes included are ways to incorporate easily found "weeds" into your skin care regime and diet. Recipes include an infused skin care oil, dandelion fritters, dandelion root cocoa, a tea for PMS symptoms, green eggs and an infused vinegar. I love the way this book is laid out, and the flowers and plants chosen for inclusion. There are recipes I've never tried before like gulkand, an uncooked rose petal preserve. The book includes things that can be found in your yard like plantain and dandelions, and a lot of things that can be easily grown or ordered if they don't grow wild in your area. For example, lavender doesn't grow easily here, but there is so much wild chamomile in my neighborhood that I've never even considered planting it in my yard. Raspberries grow wild up here, but I also have my own little thicket. There were some things not included, so I'm hoping for a sequel that will have recipes for things like shepherd's purse and spruce tips, but I'm really happy with what is included. If you're someone just getting into foraging and wild crafting, this is a lovely book full of great photos, information and recipes. If you're more experienced and have a good library already, this may not have any new information for you but it's still a very pretty book.